Join us as we welcome Sesshin back to the Temple! This multi-day sesshin is identical in schedule and form to the Monastery’s, with oryoki, formal discourses, and face-to-face teaching. Characterized by silence and deep introspection, sesshin is recommended to anyone who is sincerely interested in experiencing intensive Zen training. 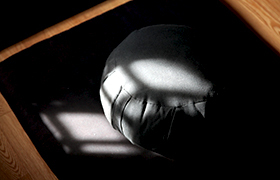 We wake up each day before dawn to begin a schedule that includes 7 to 10 hours of zazen, chanting services, formal silent meals in the zendo (oryoki), silent work practice and talks by the teacher and senior students. Sesshin is an opportunity to receive personal guidance in private interviews with the teacher, draw from the tremendous strength of people practicing together and experience the deep stillness that lies within each one of us. This sesshin may be joined in progress as late as Friday evening. Please bring sheets and a towel. You may also wish to bring a sleeping bag or an additional blanket. First-time sesshin participants should call the Training Office to set up a “sesshin interview” as part of the registration process. We strive to keep our retreat prices low and offer these programs on a sliding scale. It’s important that the dharma is available to everyone. Thank you for your continued support. No deposit is necessary to register. You can pay the full balance at the door by cash, check or credit card. Hogen Sensei has been engaged in formal Zen practice since 1978, and was in residential training at the Monastery for twelve years before returning to lay life in 2007. He shares his time between the Zen Center of NYC and rural Pennsylvania, where he lives with his family. Hogen received dharma transmission from Shugen Roshi in 2016.